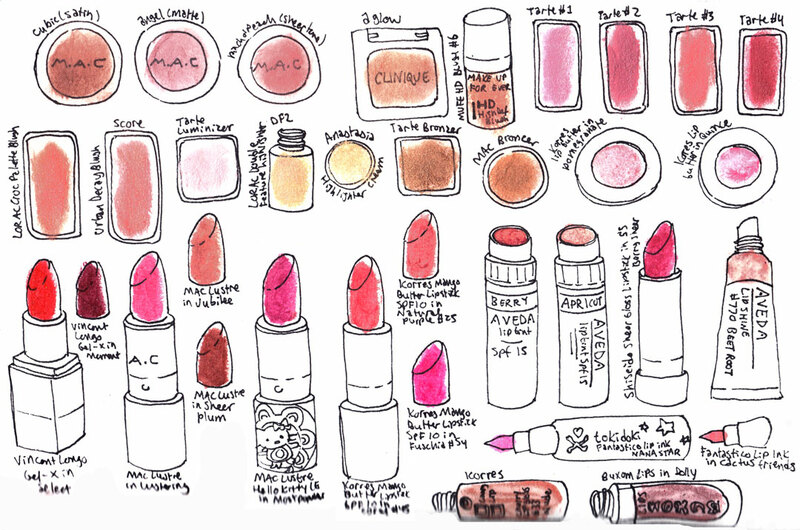 Every product junkie knows that the ultimate reason behind racking up drawers and drawers of new lipsticks, concealers, powders, etc., is to find a holy grail. Holy grail products are those magical items that are just right–right texture, right color, right finish, right lasting power–and that's what makes them so difficult to find. In honor of that search, MODA Blog has decided to share some of our holy grail products. Today, our Fashion Section Editor Olivia shares her favorites! Unless I plan on going out or attending a special event, I usually don't like to wear a lot of makeup because I have fairly sensitive skin and prefer a more natural look. On a day to day basis, I gravitate towards simple products that don't need to be reapplied throughout the day and are so light they feel almost like a second skin. I wear this concealer from Makeup Forever (in shade 5 "Vanilla") pretty much every day. Despite its claim that it can cover up tattoos and birthmarks, I usually don't wear enough of the product to achieve the perfect matte finish it advertises on the website. Regardless, it nicely covers up blemishes or skin discoloration with a single dab and lasts all day (even if you work out!). The product is oil-free and waterproof and works just as well in colder weather, when my skin tends to dry out, as it does in warmer or more humid temperatures, when my skin gets oilier. If you're thinking about testing out this product, its creamy and light consistency can be deceiving, so don't go overboard with application! I love Aveeno's products and this moisturizer has been a fixture of my beauty regimen for years now. I always swipe on a light layer of this moisturizer after washing my face or taking a shower so my skin doesn't dry out regardless of whether I'm preparing to head out for the day or getting ready for bed. This product is great because it helps to even out skin tone and includes SPF in its formula so you don't have to remember to reapply sunscreen everyday. On top of being odorless, oil free and hypoallergenic, it doesn't block skin pores or cause breakouts. Similar versions of the product include SPF 30 formula or acne-fighting salicylic acid are also available. 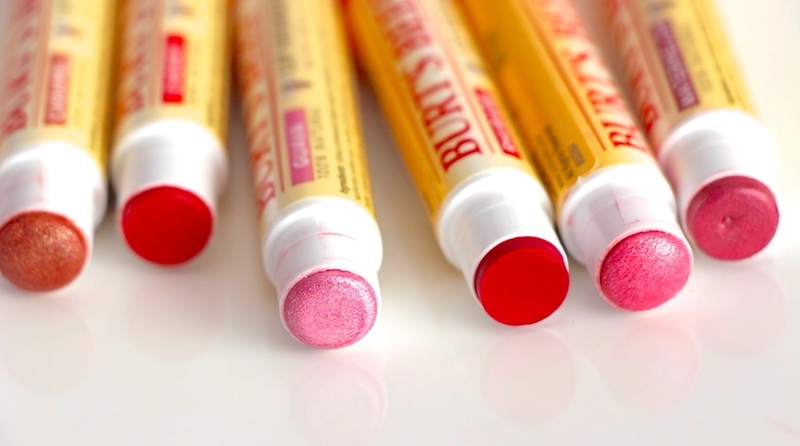 I love these Burt's Bees lip shimmers because they combine the moisturizing qualities of a good chapstick (each lip shimmer contains Vitamin E and beeswax in their formula) with the hint of color and shine you'd expect from a lipstick or lip tint. I usually opt for the Rhubarb shade to heighten my own natural lip color, but I've experimented with several out of the fourteen colors available and none of them disappoint. What I love most about these lip shimmers is that they don't have that same waxy feeling that I've experienced from using other lip products and that they're cruelty free. They also have a soothing peppermint smell which in my opinion is a nice alternative to the sugary, synthetic odors of most lip glosses or chapsticks. What are your top three holy grail beauty items? Let us know in the comments below!